these last few weeks back at work have been odd. i didn't have this surge of excitement and energy to actually work. wondering if it was because i have worked tirelessly and pushed myself so hard these last 7 years that the weariness was more than bone deep. but then, after a moment, i decided that i need to remember what i'm focussing on. it's terribly freeing to say, "work is 10-3." and if i can't finish then that's okay. i don't need to kill myself! progress is made is small steps, right? the result has been that i'm not overwhelmed and actually get to do some of the things i want/need to do. or time wandering around my garden enjoying growing things. or laughing with my girls. joanne's seahawks quilt with dragons quilted on it. double batting for the flowers to really stand out. 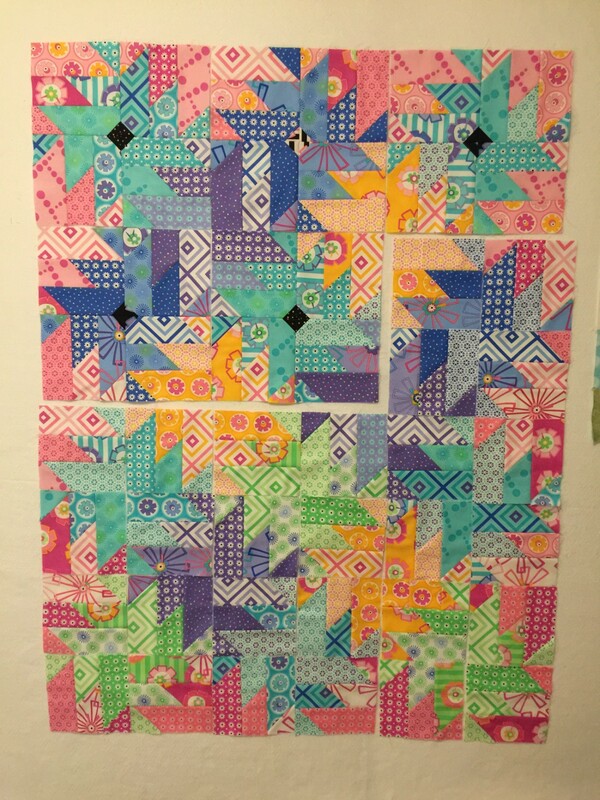 quilted with feather fancy pantograph. i have also been working on two unfinished projects and making progress. and now i'm off to ballet. one of the highlights of my week!